SharePoint 2010 Standard and Enterprise editions support changing themes directly from the SharePoint administration pages. These theme pages are a very powerful tool which supports updating any theme color as well as previewing your changes directly from the browser. 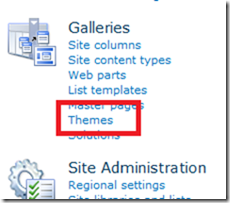 SharePoint 2010 Foundation edition users, however, do not have the ability to change themes directly from the browser. While the lack of a theme editor in the Foundation edition is painful, all is not lost. 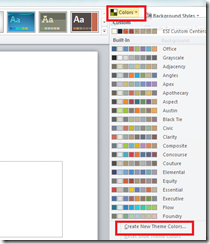 If you have PowerPoint 2010, you still have the ability to customize your portal’s themes. NOTE: The techniques discussed in this blog entry are targeted for SharePoint 2010 Foundation users, but will work equally as well with Standard and Enterprise editions. We suggest starting with an existing SharePoint 2010 theme rather than using one of the provided PowerPoint themes. NOTE: If you are creating a new theme from scratch or wish to use the PowerPoint built-in themes, please skip to Step#2: Edit the theme. 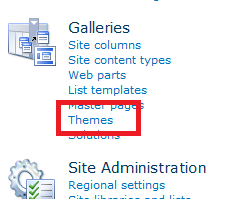 Locate the Site Collections Administration section within the Site Settings page. If you see the option “Go to top level site settings”, click it now! 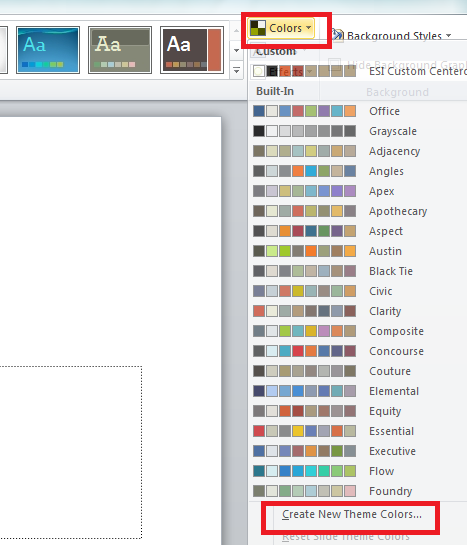 Change the Save as type to “Office Theme” and save your updated theme (see image below). You can also update existing themes be saving your newly updated themes as the same name as an existing theme. This will overwrite the existing theme’s colors with your new color palette. This entry was posted in SharePoint on July 3, 2011 by ArmgaSys.